Discussion in 'Transformers Fan Art' started by Ravenxl7, Mar 20, 2008. Now that we know that Skywarp will be a part of the Animated line, I decided to digibash a picture of Starscream up in what I hope he'll look like. The orange-ish tan color is supposed to be gold (it looks good to me, just making sure everybody is on the same page). It would be even more awesome if he had a head remold, but I decided to just change the colors for this. Thanks for looking, and for any comments I get. Looks cool . But I think I'd prefer his shoulder panels and waist only to be gold. The other perhaps black or purple. I have to say, the shoulder pads give him a cool unique look compared to Starscream. I'd love to see something similar in the actual show. I like it, except it has too much gold. Gold accents would work much better. Thanks guys. Just added my version of Thundercracker, and will be adding a shot of all 3 of them together here shortly. I really like the gold. Nice. 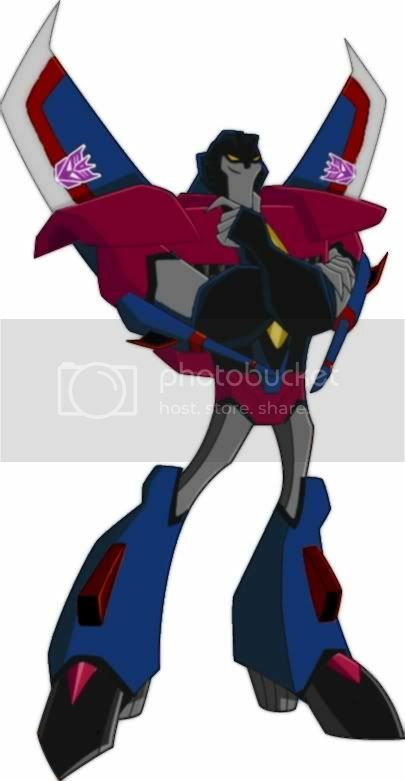 I don't think TC should have a red torso, its too similar to screamer that way. 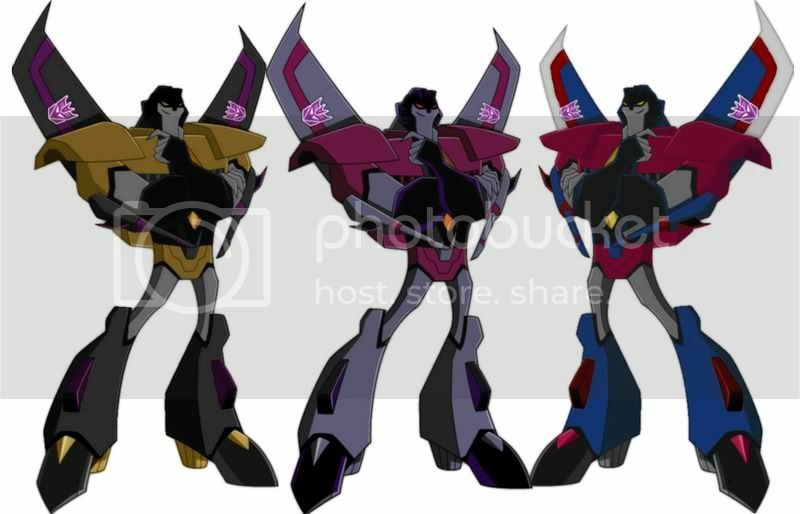 Nice digibashes, however, my hunch is that Skywarp is going to be more than a simple repaint of Starscream.